STEP 1. 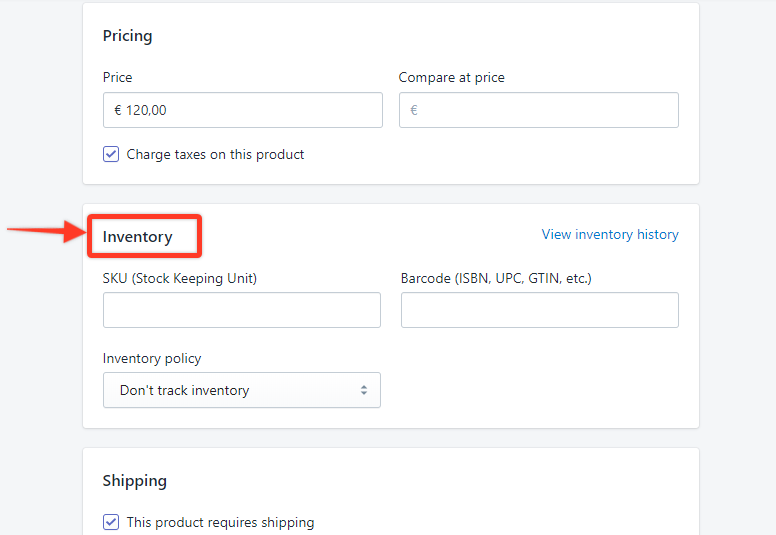 In your Shopify account, click on Products in the Navigation pane. 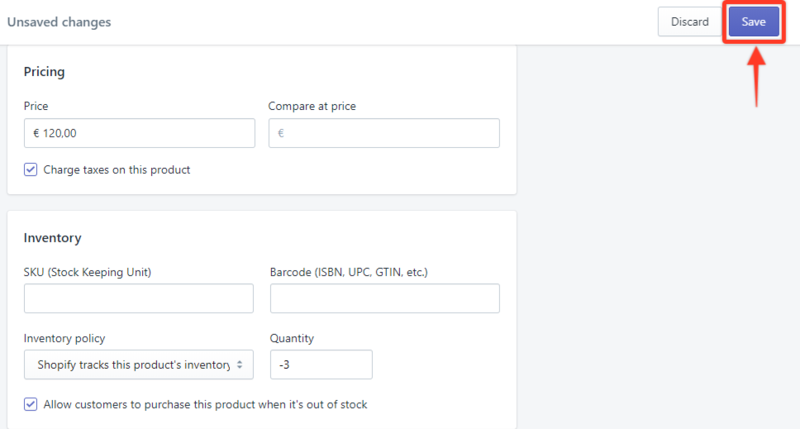 This will automatically open the All products section. STEP 2. 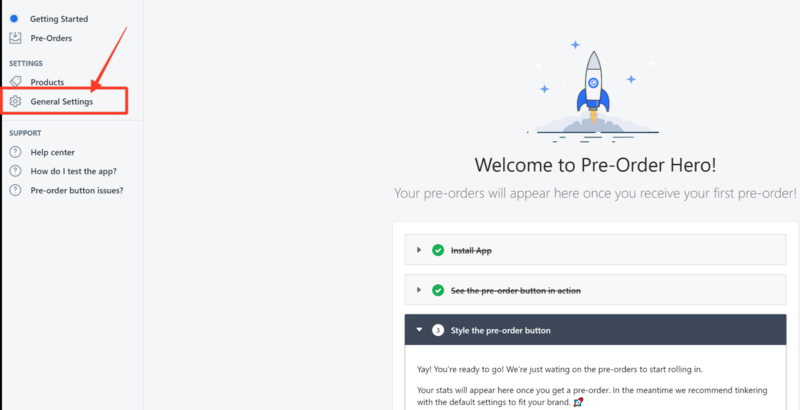 Click on the product that you want to enable Pre-Ordering on. In this example, we choose Gnarly Shoes. STEP 3. Scroll down to the Inventory section. STEP 4. 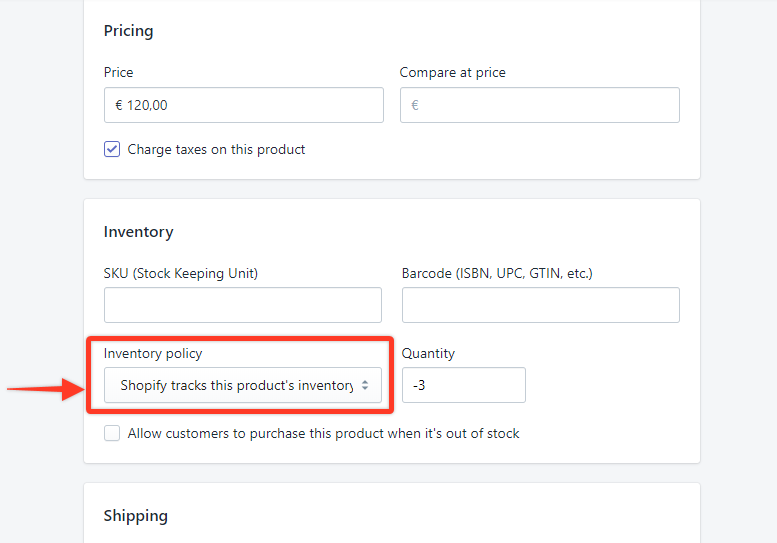 Under the Inventory policy, click the drop-down arrow and choose Shopify tracks this product's inventory. STEP 5. 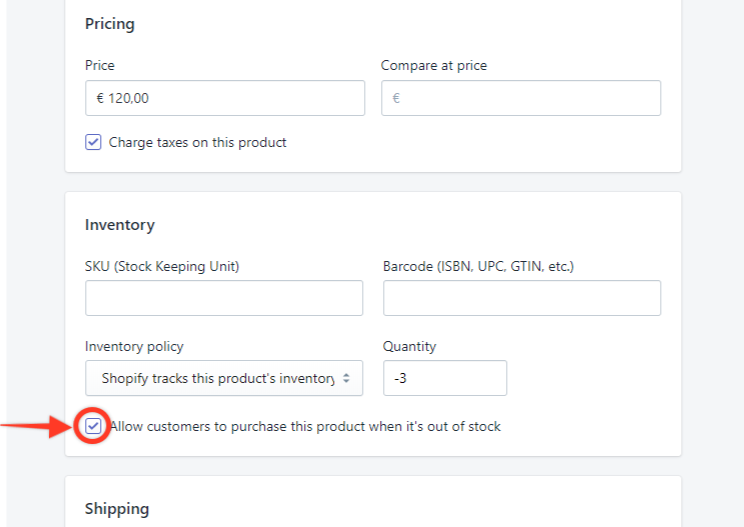 Check the box beside Allow customers to purchase this product when it's out of stock. STEP 7. 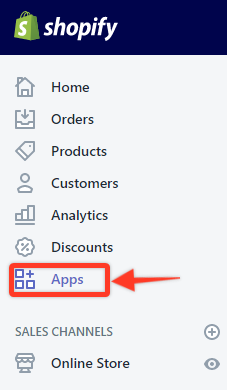 Click Apps in the Navigation pane. STEP 8. Click on the Pre-Order Hero app link. STEP 9. Click General Settings. STEP 10. 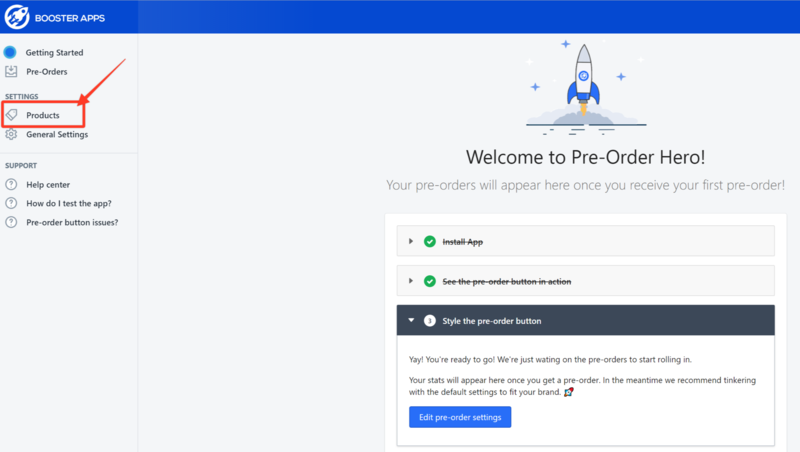 Choose Enabled for the Pre-Order Status then click Save Settings. 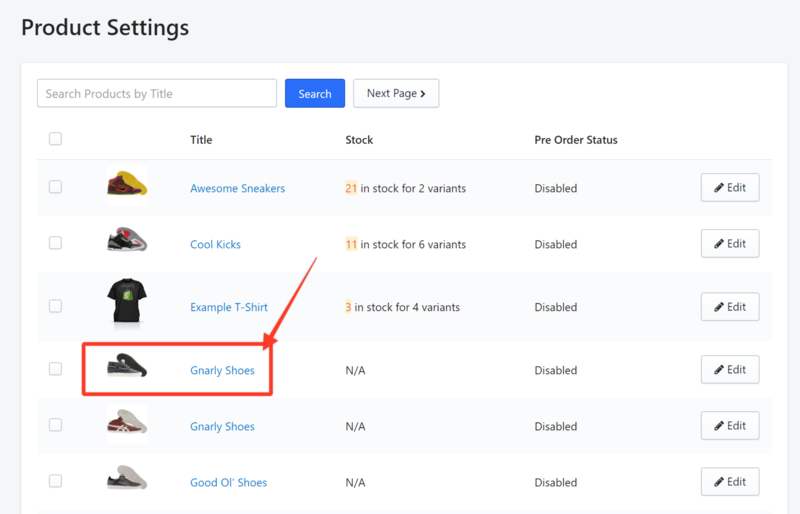 The Pre-Order button should now appear on the product pages in your online store and customers can now pre-order.